What If You Woke Up One Morning and Realized You Were Living the Wrong Life? Every day, in almost every field, someone perceives themselves to be on the wrong side of a psychic divide. The “second brain” in their gut tells them their life must change. Bruce Grierson draws on over 300 hundred stories of u-turners, including famous cases like Gandhi and Gauguin as well as a host of other gripping tales of people who have risked everything to answer life’s wake-up call: people who change political parties and careers, people give up their jobs as doctors to become poets, men who become women, professional athletes who quit to spend more time with their families, mothers who quit their families to pursue careers, people who suddenly become revolutionaries for a cause they didn’t care about the day before. 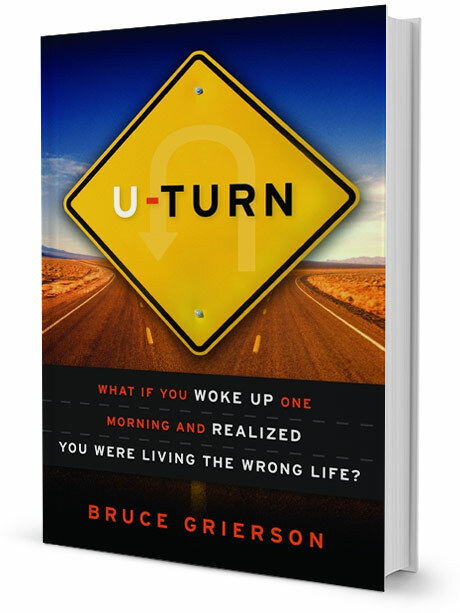 Grierson examines the u-turn from all angles–philosophical, scientific, literary and psychological–beginning with premise that the wake-up call is the secular equivalent of the religious epiphany, the moment when a person is “born again.” When does the wake-up call happen? Often in mid-life, but not always. Is it a good thing? Yes and no. Who does it happen to? Potentially any of us, under the right circumstance. Is America ready for a mass u-turn? Maybe. In chapters that address everything from the neuroscience behind epiphanies (the eureka moment) to the possibility of “forcing” a u-turn, Grierson brilliantly describes and elucidates this powerful, mysterious phenomenon, and in doing so illuminates all or our continual struggles with life choices and identity.